IOGEAR's USB Common Access Card Reader is the perfect solution for most civilians as well as non-military government workers who need everyday secure access. 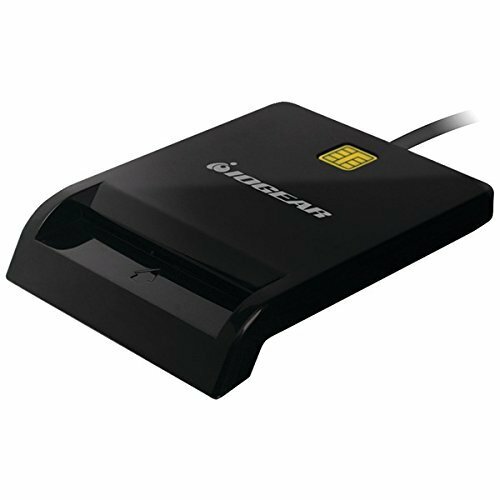 Common Access Card (CAC), or Smart Card readers are often used as a communications medium between the EMV smart card and a host (e.g. a computer, a point-of-sale terminal, network login, etc.) in secure systems such as those used by government, banking and health care. The GSR212 requires the card to be inserted directly into the reader where electrical contacts retrieve the data stored in the card's chipset. IOGEAR's physical contact readers are less prone to misalignment, which helps to eliminate the possibility of being misread.